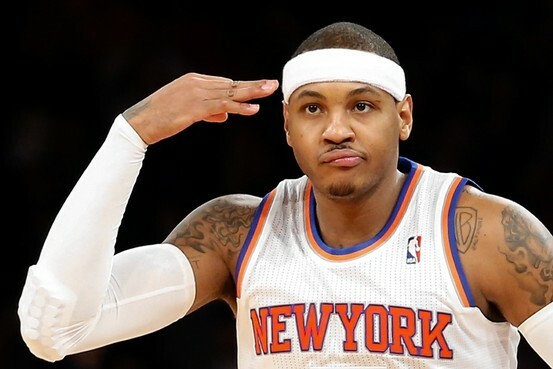 It seems as aspected that Carmelo Anthony will become a free agent as reports on Yahoo Sports! As planned, All-Star forward Carmelo Anthony will file notice with the New York Knicks on Monday that he plans to exercise the early termination option on his contract and become a free agent on July 1, a league source told Yahoo Sports. Anthony has a Monday deadline to opt out of the $23.5 million deal for the 2014-’15 season. Anthony is determined to explore free agency and will closely examine opportunities with the Chicago Bulls and Houston Rockets, league sources said. New York can offer Anthony, 30, the most money and security — a five-year, $125 million-plus contract — but he’s intrigued with the chance to join an immediate contender in Chicago and Houston, league sources said. New York can’t begin to get out from under its salary cap issues until next summer. Chicago and Houston have work to do to clear salary cap space to sign Anthony to four-year deals in the $90 million range but are working on contingencies to do so should Anthony decide he wants to sign with them.